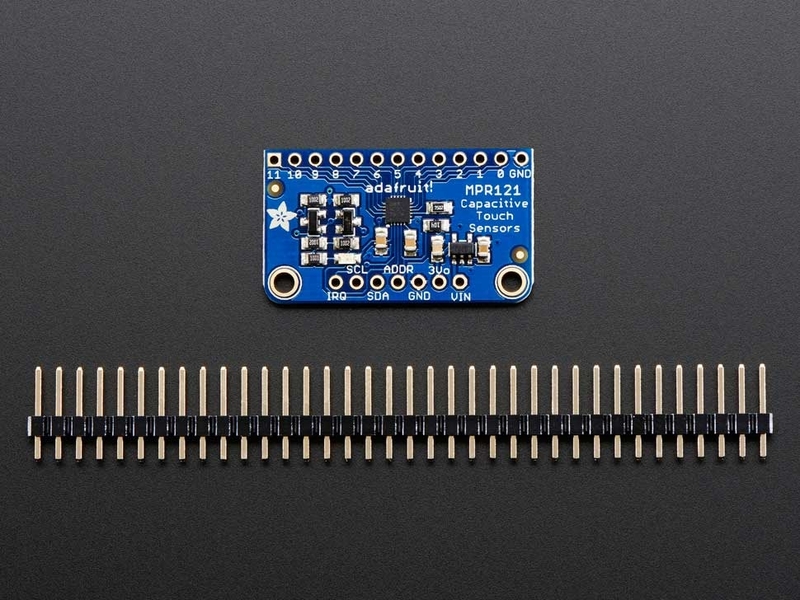 This sensor comes as a tiny hard-to-solder chip so we put it onto a breakout board for you. 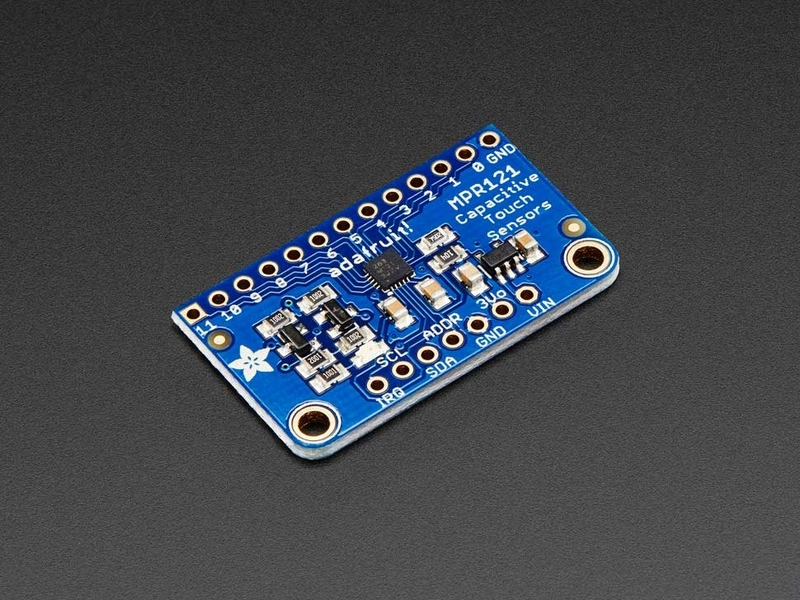 Since it's a 3V-only chip, we added a 3V regulator and I2C level shifting so its safe to use with any 3V or 5V microcontroller/processor like Arduino. We even added an LED onto the IRQ line so it will blink when touches are detected, making debugging by sight a bit easier on you. 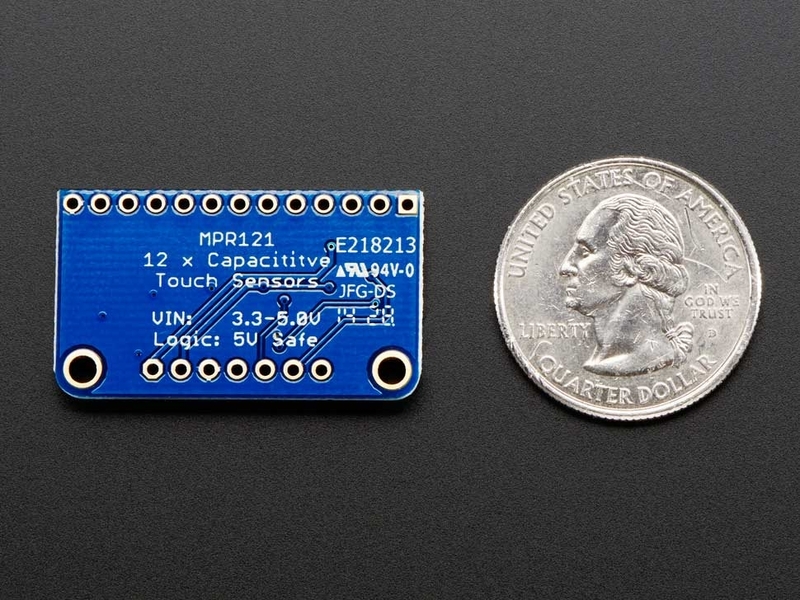 Comes with a fully assembled board, and a stick of 0.1" header so you can plug it into a breadboard. For contacts, we suggest using copper foil or pyralux, then solder a wire that connects from the foil pad to the breakout. Of course, we wouldn't leave you with a datasheet and a "good luck!" 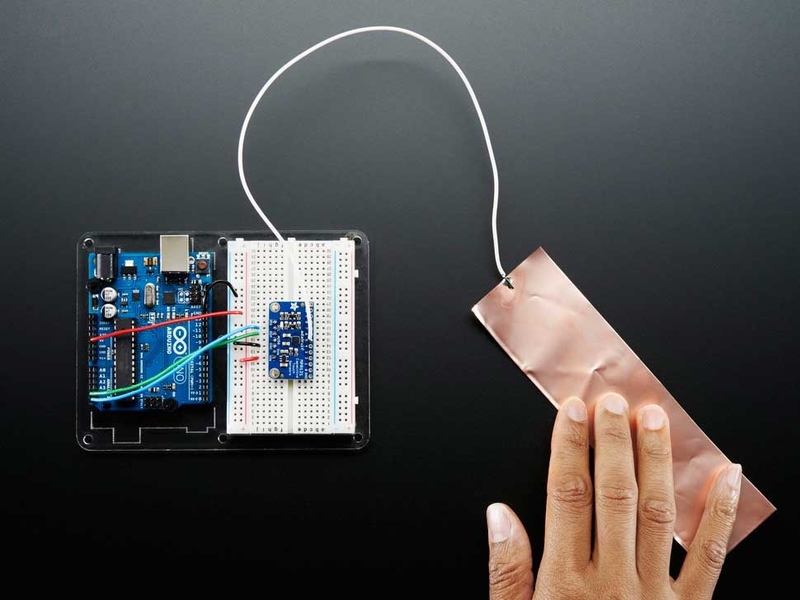 - we wrote a detailed tutorial showing how to wire up the sensor, use it with an Arduino and example code that gets the sensor logging data and detecting your touch! Dimensions: 33mm x 19mm x 2mm / 1.3" x .8" x .1"